Join us this Sunday (9/21) as the Montague BID stages its annual Summer Space Festival. The Brooklyn Bugle gang will be there starting at noon (in front of Custom House) and the BHA Dog Show starts at 3pm. 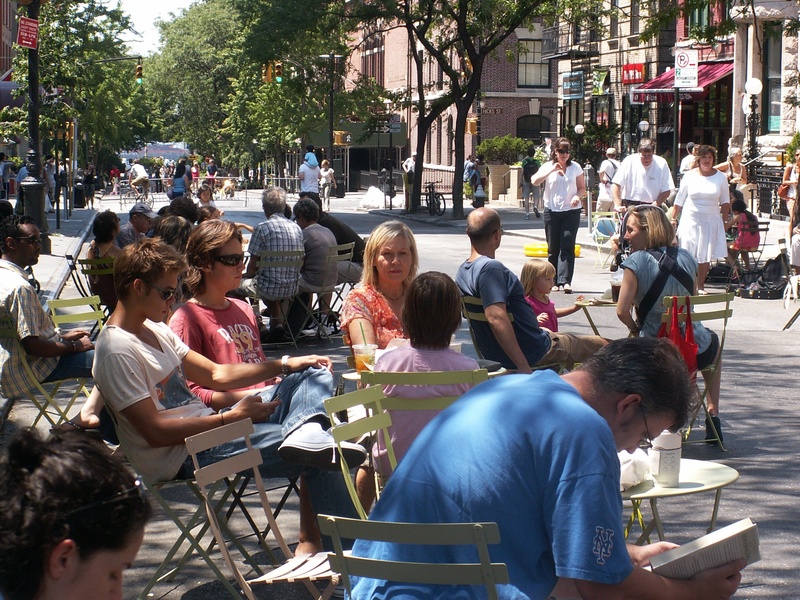 Picnic on a pop-up park on Montague Street? You can, and much more, this Sunday September 21st, during the free, outdoor Montague Street Summer Space festival. This Sunday, from 12-5pm, Montague Street between Clinton and Hicks Streets is closed to traffic and re imagined as a pedestrian oasis, welcoming visitors to play, learn, and enjoy the day’s activities and events. Visit and enjoy the Brooklyn Heights Dog Show, performances by Brooklyn Ballet Company, Etsy craft-making, a photo booth, pop-up park, chess demonstrations and tables, yoga class by Yoga People, pet adoption, and interactive learning for kids with the Brooklyn Historical Society. Local businesses are offering special promotions. Visit montaguebid.com/summerspace for more information.